The classic tile look, 5% of the weight! GrandeTile is available in one and two-course modular or full-length panels, custom-crafted to meet the rafter lengths of any roof. It includes a patented drain channel. Hidden in the overlap between the neighboring panels, the drain channel provides added protection in the event of the fiercest wind-driven rain and snow storms. 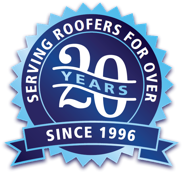 Tile roofs can weigh up to 2,000 pounds per 100 square feet, placing strain on the home, and posing significant cave-in threat in the event of an interior fire. GrandeTile weighs under 75 pounds per square. Additionally, as part of the Green American Home brand, homeowners report energy savings of up to 20% and more, thanks to the proprietary hI-R® coating.